Posted in: What is Field Target. 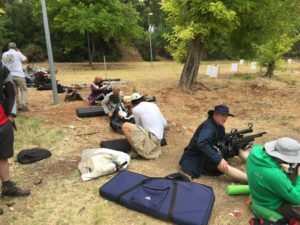 Tagged: 2016 World Field Target Championship, aafta airgun match, airgun competition, airgun field target, Andy Calpin, Conor McFlynn, Dorian Falconer, field target, field target match, Greg Sauve, harold Rushton, Jack Harris, Mark Bassett, Sergei Zubenko, WFTF, world field target match. Well, the World Field Target Championship match is over and in the books now. Jack Harris won the PCP title, Aleksas Jaunius won the Piston title and once again, Ana Pereria won the Ladies title. That’s the way th ings shook out in the end, but getting there was oh so fun! The World Championships were held this year in Lisbon, Portugal. 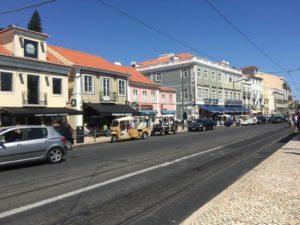 If you have never visited Portugal, I would highly recommend putting it on your list of places to see. Lisbon is a port city in Portugal with beautiful views of the Atlantic Ocean. 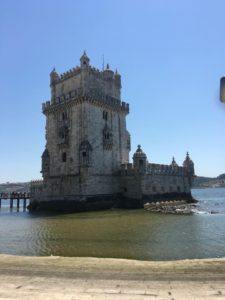 While in Lisbon, we visited sites such as the Belem Castle, Jeronimos Monastery, Sao Jorge Castle and the list goes on. We also had the limited opportunity to taste the local Pasteis de Belem, which is a tasty treat that can only be enjoyed from the original ancient recipe from the Mosteiro dos Jerónimos. These are pastries made with a very light and crunchy shell and an egg white custard center. It’s a treat that has to be experienced as the taste, sound and flavor is simply amazing. 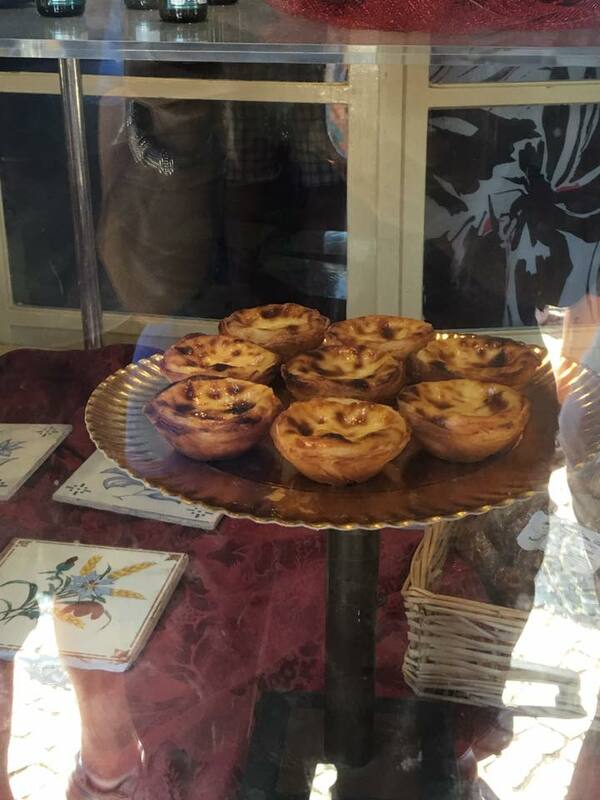 Now that you have a taste of Lisbon, so to speak, on to the match. My wife and I arrived somewhat early. 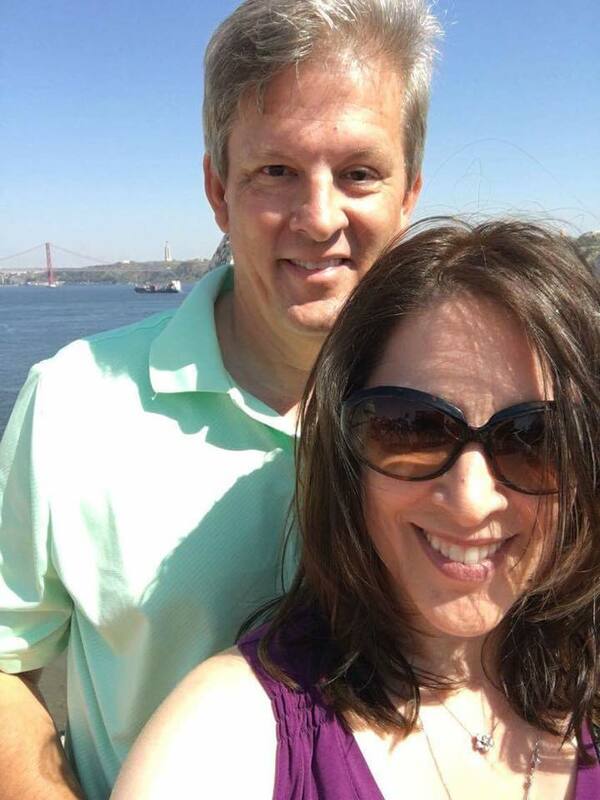 That’s when we did most of our site seeing. The match organizers started signing everyone in on Tuesday before the match started on Thursday. This allowed competitors the opportunity to spend two days on the sight in range checking equipment, working out issues and generally testing equipment. 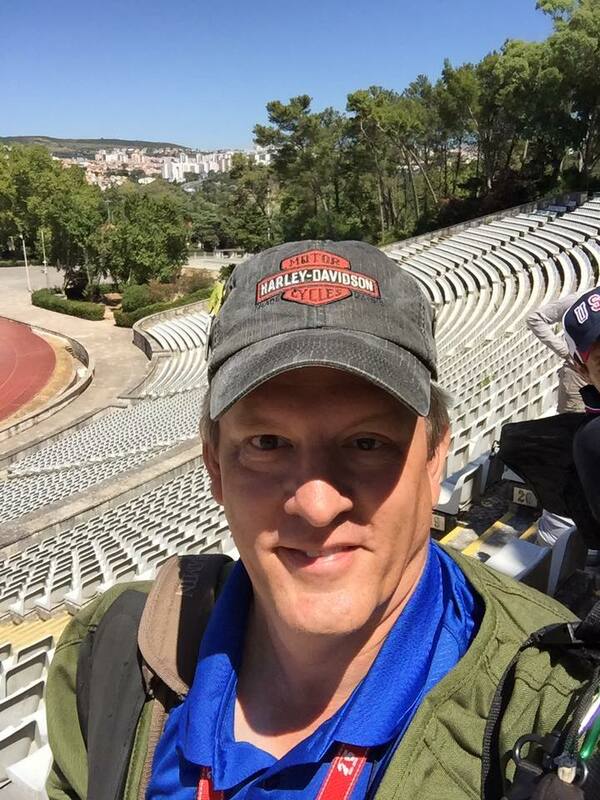 The organizers did a great job securing the Jamor National Training Center to host the match. This location allowed an area for sight in of rifles, a mobile food vendor with tables re-fueling competitors, a large tent for air refills, gun related vendors and general socializing. The facility also included a large building which was utilized by the event organizers to sign in competitors and work as a base of operations for the match director and associates. Overall, the facility was top notch with plenty of potential for the job at hand. The courses were located away from the sight in area, behind the building housing the organizers. The area was secure and only open during match hours. It allowed the match director and marshals to set up a course that, in reality housed three courses. In so doing, when a competitor started on the Black Course Lane 1, he was adjacent to Yellow Course Lane 1 and then Red Course Lane 1 and so on. With this set up, the courses were interwoven and kept conditions between courses very equal. The courses basically had three distinct areas. In the first area, the undergrowth and foliage was cut away leaving a very wind prone area with wicked openings to funnel the wind in all directions. The second area forced the competitors to shoot up a steep hill placing everyone in an uncomfortable position which cost many points during the match. The last area was a steep downhill area. This forced competitors to deal with challenges exactly the opposite of the uphill area. It also fostered sneaky winds that unexpectedly cost points as well. I thought the courses were expertly set to avoid having any two consecutive shots having the same wind effects. For example, a competitor could sit down and locate the first target on a lane far to the left and at an extreme angle. The second target would then be placed to the right at a differing angle creating a different wind effect which the shooter had to quickly figure out. This made things very tricky and difficult from one shot to the other. This was all compounded on day one and three because of heavy winds that moved into the area. On day two we were both blessed and cursed with little to no wind. It was a blessing from the perspective of having a break from the winds that so generously moved our pellets many inches before reaching the target. However, it was a curse as the sun baked us and the heat was more intense throughout the day. Once I arrived and signed in on Tuesday, I was eager to check out my rifle after our long trip from the USA to Portugal. One never knows what treatment a rifle has endured at the hands of an airline, so I’m always apprehensive until I get air in my rifle and put a few shots down range. This time was no exception. 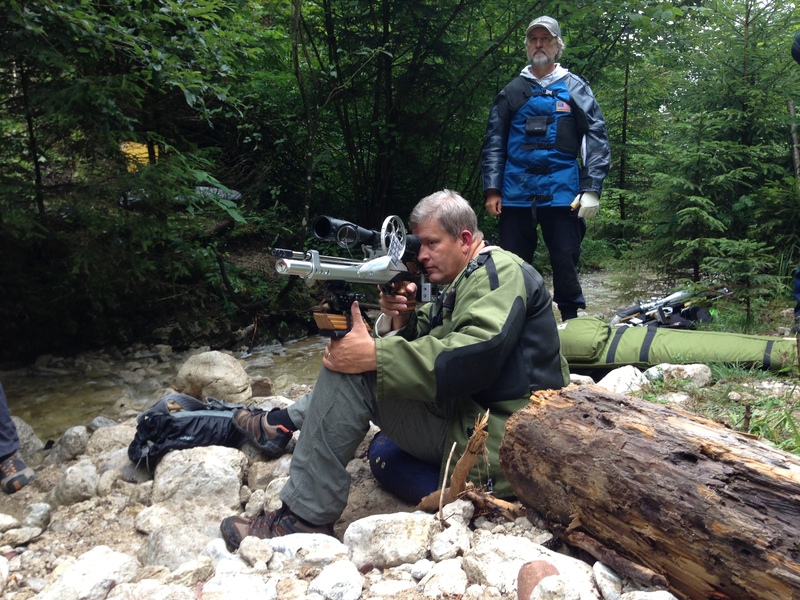 I took my Steyr LG110 and Leupold Competition 35x combination to Portugal for the match. Fortunately, once I filled her up with air, everything seemed good. 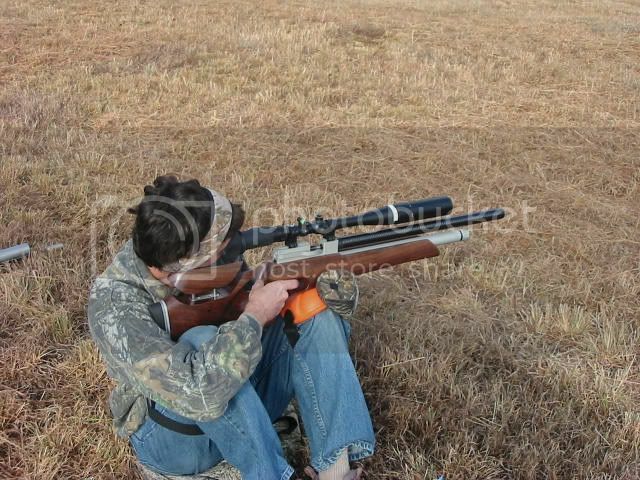 The rifle was holding air and nothing was visibly damaged from the trip over. I found a location to take a few seated shots and bingo, she was on the money! I found quickly that the winds on the sight in range were tricky and pushing my pellets several inches to one side or the other at 55 yards. However, based on what I was seeing of the tree limbs blowing around, this was not unexpected. I also knew this was a sign of things to come on the course during the match. So, I spent some time trying to estimate what the winds would do with my pellets, just so I could get a feel of what to expect during the days to come on the course. 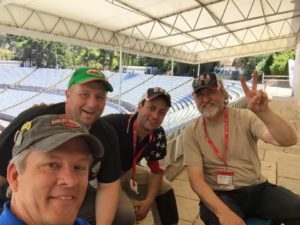 This is the first segment of articles relating to the 2016 World Field Target Championship match in Lisbon, Portugal. I’ll be adding more details about our trip in the coming days. So, check in soon to read more about the match, the shooters, equipment and gadgets used this season. Posted in: Field Target Gear and Gadgets. 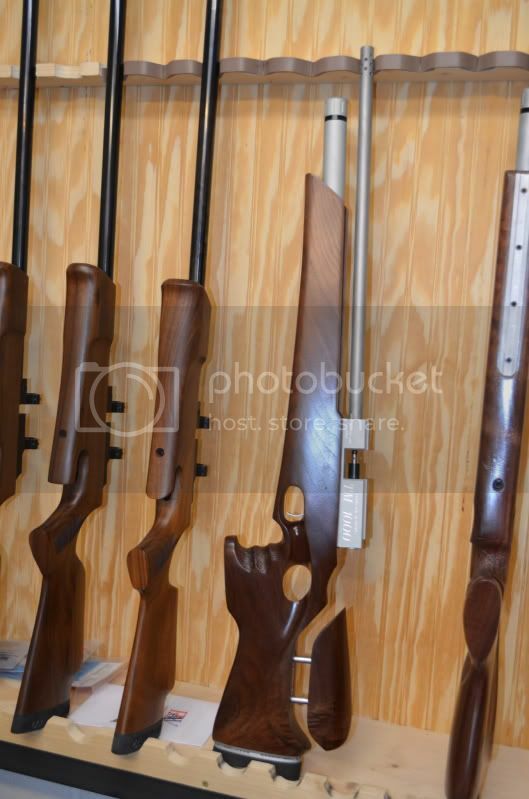 Tagged: airgun, field target, field target gear, field target rifle', rapid air weapons, raw. I recently had a chance to stop by and visit with Martin Rutterford at Rapid Air Weapons in Minor Hill, TN. Martin took time to show me around his CNC manufacturing facility, and we spent some time looking at the new TM1000. In short, the TM1000 is an awesome rifle that is designed with Field Target in mind. 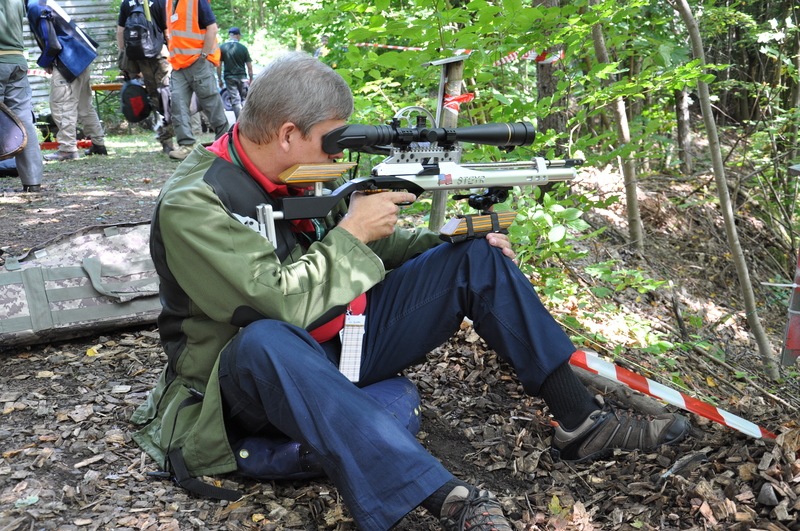 The rifle includes quite a few features that I find to be essential for Field Target. 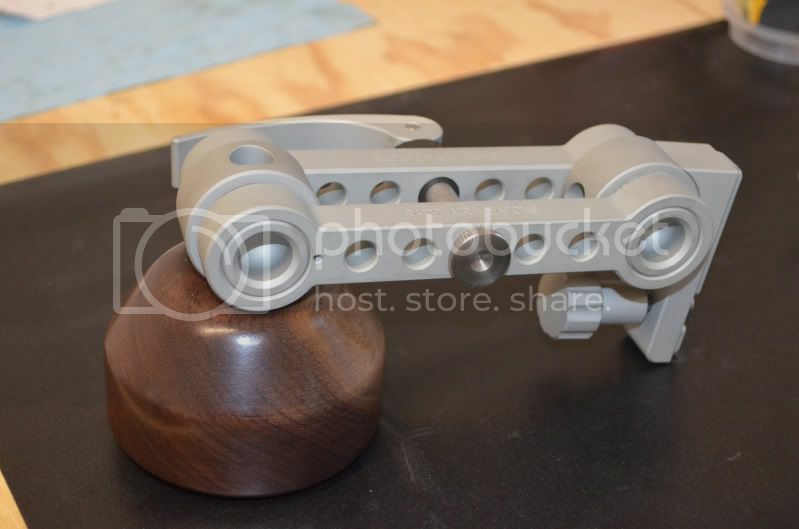 The optional new knee riser is rock solid, and can be used on most any other rifle with a rail. Here’s a few photos of the TM 1000 in action! Posted in: Field Target Positions. 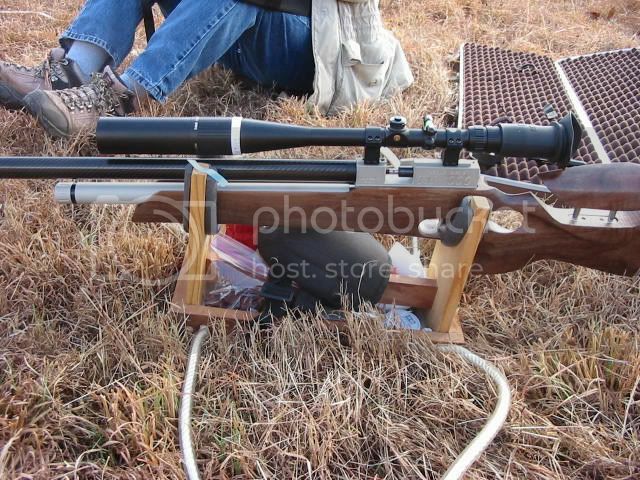 Tagged: airgun, field target, field target airgun, forced position field target, offhand shooting. I think that offhand shooting is a very important part of the shooting discipline. Especially since we now see at least one offhand lane on each Field Target course that we shoot in the U.S. these days. Given that offhand is popular among match directors, it should be a pretty important part of your practice routine as well. 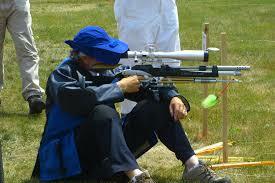 I used to practice primarily seated airgun shooting from the standard seated Field Target position. 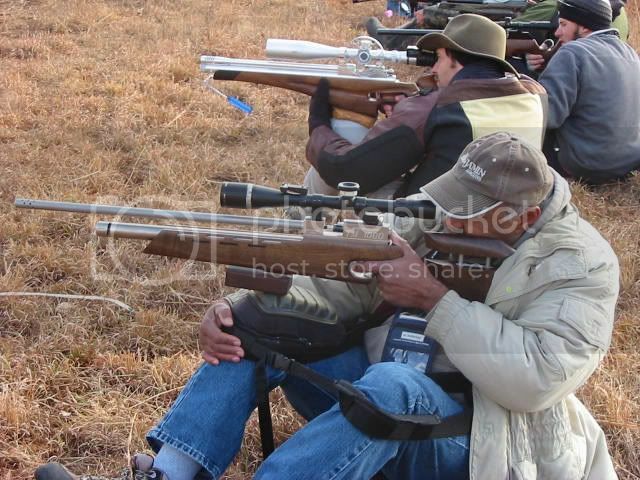 It is comfortable to me to shoot from the seated position and obiously easier than offhand or kneeling. So, I guess laziness took over and I would just go out and shoot a zillion shots from the seated position. Then when match day rolled around, I would go out and find at least one or two forced position lanes on every course. Usually one offhand and one kneeling lane is the norm. At first I was an average 50-60% offhand shooter and that meant that I was dropping a lot of shots on those lanes. Since most of our courses here in the South usually have three targets per lane or six shots per lane, that translates to 10% of a 60 shot match being offhand. Then if you add a kneeling lane, well there’s 20% of the match between the two lanes! Wow, that can add up fast… After using the practice techinques in this article, my offhand game has vastly improved. At the 2010 National match, I only missed one forced position shot out of twenty four on the course! So, after shooting Field Target for a while, I realized that I needed to do something about my offhand game. My plan was simple. I forced myself to start practicing offhand every time that I practiced seated shooting. I tried to make it a point to simply shoot offhand first to get comfortable with the position. After a few days of offhand practice, I noticed that there were a few points that I should concentrate on in preparation for taking an offhand shot. First is a good foot position. 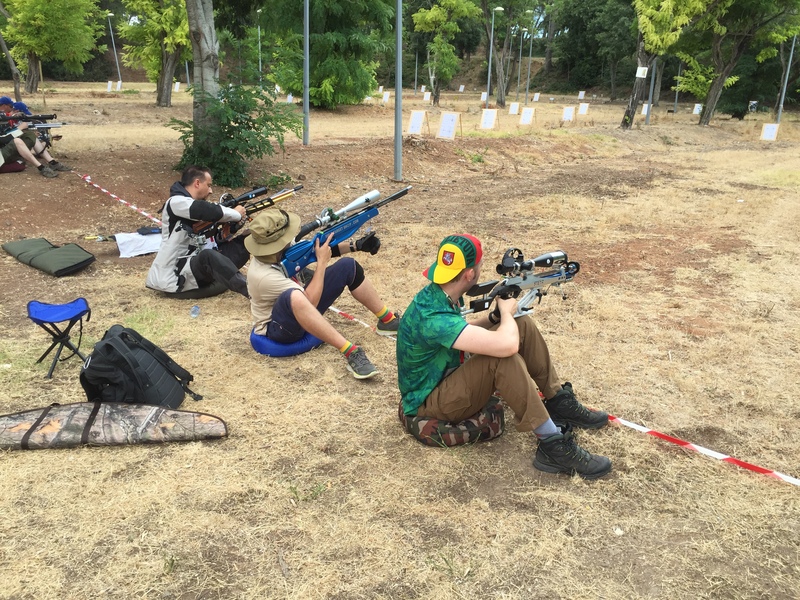 When approaching an offhand lane on a Field Target Course, find a comfortable position for your feet. Clear the sticks, rocks or other debris away with your feet so that they are flat on the ground. Spread your legs to a position so that your feet are about shoulder width apart. Give yourself a slight angle to the target. I like to align my left leg and shoulder in line with the target. That puts me almost facing the lane to the right of me as I set up for an offhand shot. Then, I try to use a good arm lock into my left side. If possible, you are looking for bone-to-bone contact here, so as to not use any more muscle than is necessary to hold the rifle in place. You will have to experiment with this to get the most comfort out of your position. I also find myself locking my left wrest with a bend in it as I sit my rifle on the palm of my hand. The right arm needs to be pretty loose as the left does most of the work. This is my basic position, so keep in mind that you will have to experiment to get comfortable with how things work best for you. Once you have the position, I recommend that you start with an easy Field Target to get accustomed to shooting offhand. I would say that you should start with a full size 1 1/2″ kz (“kill zone”) at 25 yards or less. 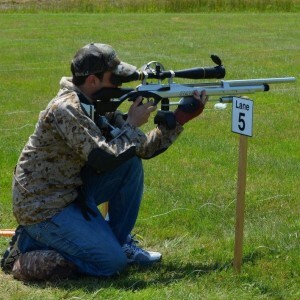 Practice the position that you find the most comfortable while shooting this target, over and over and over. Once you are hitting the kz 10 out of 10 shots, move it out another 5 yards. Remember, there are several things going on here when you practice. Besides setting up a muscle memory that your body will get accustomed to, you are also working on coordinating the shot with your brain. In order to shoot offhand well, you must coordinate what you see through the scope with your trigger finger. When you are trying to place that reticle on the kz, you will most likely see the reticle moving from side to side, up and down as your sway around. Usually, most misses are caused by a lag in the reaction time to SEEING the reticle aligned, but your brain reacting a little too slow and the trigger finger pulling a split second too late. So, by practicing these easy shots on a big kz, you are training your hand – eye coordination to do this offhand task. You should get to a point that you can consistently hit that big kz at 35 yards 10 out of 10 shots with relative ease. You may be able to do it right away or it may take some practice. Either way, practice this exercise before moving on to the next step. Once you are comfortable with the easy shots, the next step is to move that kz out. I recommend moving that big kz out to 50 yards for advanced practice. This is when you are getting serious about offhand shooting. Before every major match, I try to spend a few hours during the preceding week working on this 50 yard offhand shot. My goal here is to reach that same 10 out of 10 hits. Take your time with a little rest in between shots, but don’t take too long. Remember, at a big match you are going to be racing the timer. I like to shoot these for offhand practice. They work well and don’t require resetting when you practice. Click on the photo to see more about this product. When working on the 50 yard offhand shot, you need to consider a couple of variables. One of the most important variables is the wind. You are going to need to be able to shoot offhand well enough that you can align the shot and make the proper wind hold off at the same time. I don’t want to get into the mechanics of wind doping in the segment, so I’ll leave that for another time. Just know that you must determine the wind direction and velocity to hold accordingly. Now, once you are getting pretty proficient knocking down that 50 yard full size kz while shooting offhand, I would challenge you to try this. 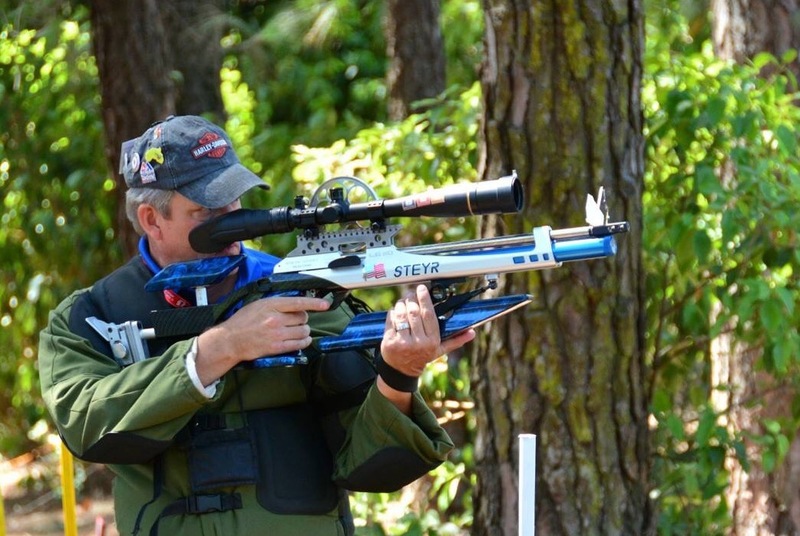 Set up a 1/2″ kz at 20 yards and start practicing making that shot offhand. Then move it out to 25 yards and do the same thing. You might think right now that it is impossible, but I assure you that it is not. 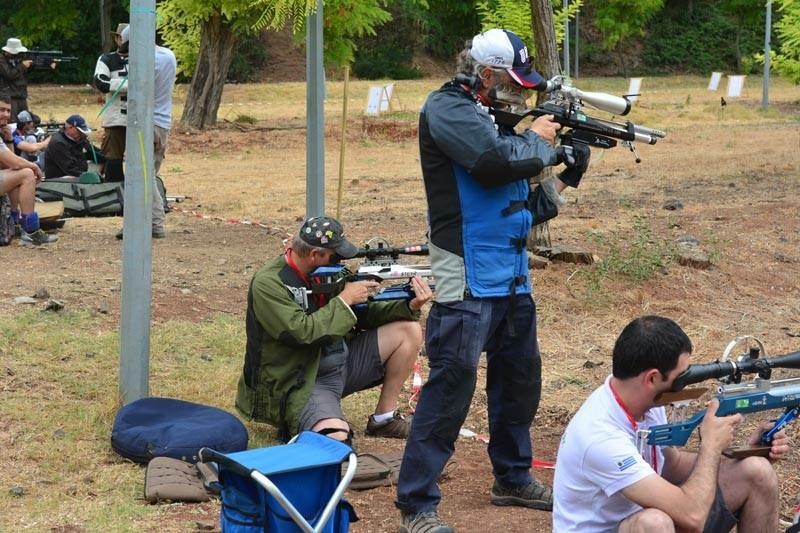 As a matter of fact, the World Field Target match in South Africa in 2009 came down to a similar offhand shot. If I’m not mistaken, it was a 23 yard offhand shot with an approximately 1/2″ kz! I also understand that the two shooters ended up having to finish that shot in the kneeling position after they both missed it while shooting offhand. Now, just think, if it had been you in their position after all of this offhand practice that you are about to do, you just might have ended that day with a World Championship win!